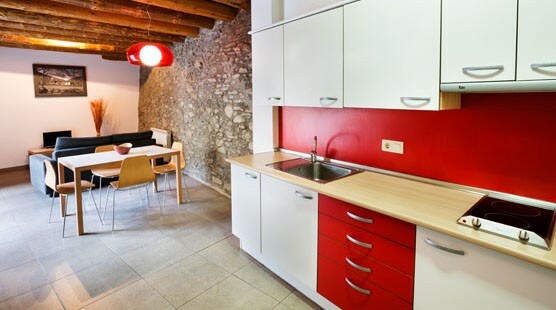 EXCLUSIVE APARTAMENT, ONLY AVAILABLE IN OUR WEB! Can I tell you a secret? This is one of our favorite duplex! The apartment is made up of two spacious floors with large windows, stone walls, wooden beam ceilings, a balcony and a private terrace of 30 Sqm, just for you! Its design is a fusion of vanguard and the essence of an old rural village house. Artisan cookies for hotel rooms. Only in our website, you can find best rates and offers! In our website, you can find the greatest variety of rooms and apartments. So, you’ll decide in which one you want to stay. Stay until 17h, without extra fee *(upon request and subject to availability). No booking cancellation or modification fee. If you cancel or modify up 8 days before the date of arrival, no fee will be charged. If you cancel or modify later or do not show, 100% of the stay will be charged. Not included: € 0.50 city tax per person per night. Children under 2 years, will be charge for children’s cots/cribs for 12€/night. Children from the ages of 3 to 12 years, are charged 17€/person/night in an extra bed. Older 12 years and adults, are charged 24€/person/night in an extra bed. The maximum number of extra beds in a room is 1 or 2, depending on the type of room or apartment. Any type of extra bed or child’s cot/crib is upon request and needs to be confirmed by the Management. 10€/dog 1st. day, 5€/dog 2nd. day,3€/dog 3th day. The pet cannot be left alone in the room! The moment of your departure is requested to leave the apartment collected and clean of utensils and dirt. If it were not the case, you will have a charge of € 50 for cleaning costs. In the case of finding the quilt, blankets, towels or sheets soiled by pet hair, a € 25 cleaning fee will be charged. 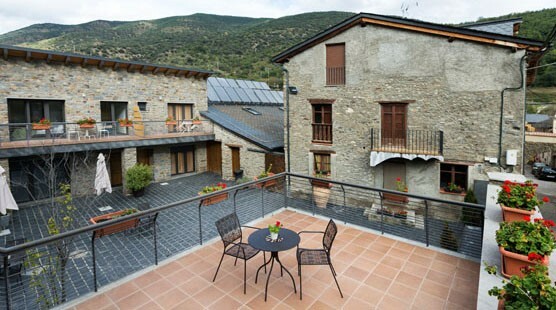 The majority of rural apartments Cal Miquel, are duplex and the rooms are located under the roof, it is not usual, but if there is a strong temperature contrast, the wood of the roof usually creaks.